Applying good clean power to NCD devices is essential for proper operation. Most of our tech support problems are related to improper power. 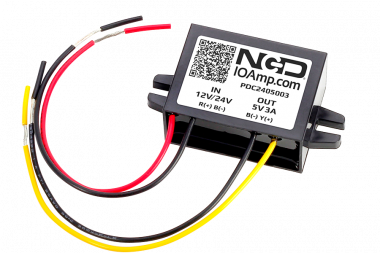 NCD power supplies are designed for computer grade power applications, which is what our products need the most. Using unregulated power supplies simply leads to big problems, especially when it comes to long-term reliability. Many troubleshooting questions are related to using power supplies that are insufficient to provide the power needed to operate our controllers. Please keep in mind that any high quality regulated switching power supply with a 12V DC Output and 2.1mm Power jack will work great with our products, it’s the unregulated wall-warts that cause the most problems. All boards on the site require 12 VDC power. 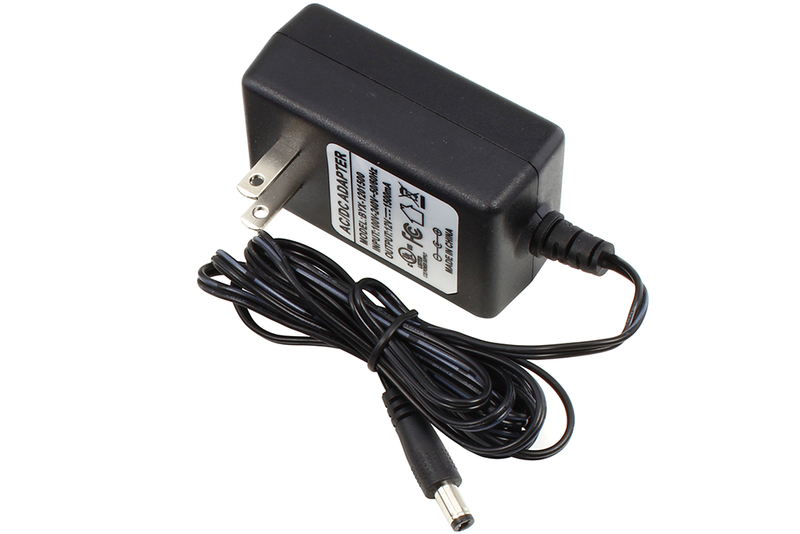 The PWR12 US power supply is a 120VAC to 12VDC 1.25A 60Hz regulated power supply and it plugs into the barrel connector on the board. 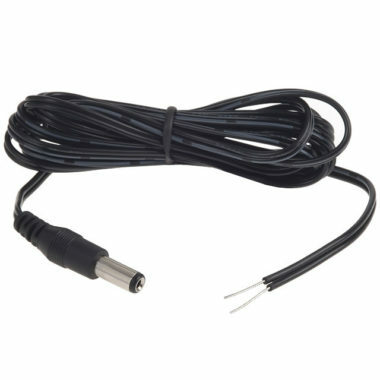 The output connector is a 2.1mm I.D. x 5.5mm O.D. 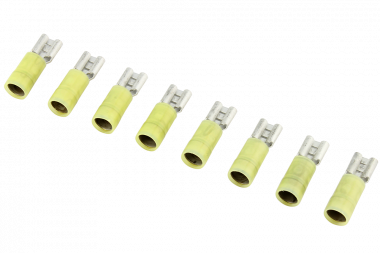 x 9.5mm R/A barrel connector. 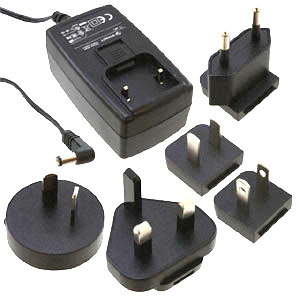 For our international customers there is an international power supply available and it’s a 90 – 264VAC to 12VDC 1.5A 50/60Hz power supply with five adapters. The output connector is a 2.1mm I.D. x 5.5mm O.D. 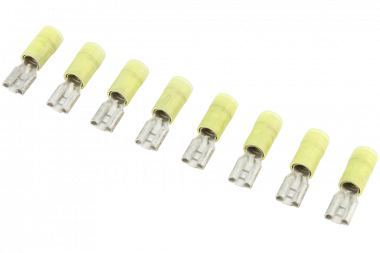 x 9.5mm Female R/A barrel connector. 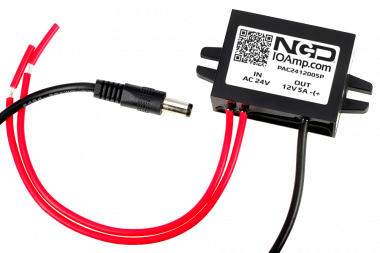 Most NCD devices are powered from a 12V power supply. NCD Devices REQUIRE a CLEAN Computer-Grade Regulated Power Supply. The power supply used to supply power to NCD Devices should not be shared with inductive loads. For instance, you should never use a single power supply to power a NCD Device and a 12V DC Motor. 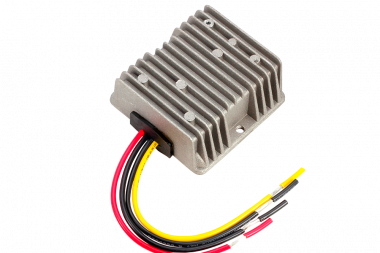 Doing so will introduce extremely high-voltage spikes that will damage the logic and power regulation portions of NCD devices, and in many cases, the NCD controller will NOT BE REPAIRABLE. The only known exceptions to this warning are customers who are working in automotive or other battery-powered applications where induction is naturally suppressed by integrating a large battery into the design. Filtering circuits may also be used to clean the power supply before entering the NCD controller, provided they are properly designed to work with your particular inductive load. Induction suppression capacitors may assist in the filtering of the power supply, but more study is required to determine their effectiveness at cleaning the power supply before it enters the NCD device. This power supply is specified for all NCD devices except 32-Channel 20-Amp or 30-Amp controllers. These controllers require the International power supply because of the higher-current rating. This power supply can power a 32-Channel 20A or 30A controller provided no more than 24 relays are active at a given time.